Christian television programs can lift us up, teach us God’s Word and raise genuine praise to God and our Lord Jesus Christ, but not all Christian television programs are fully Christian. Are there warning signs? Phil Cooke says there are and he presents them in his new book, ”The Last TV Evangelist: Why The Next Generation Couldn’t Care Less About Christian Media – And Why It Matters.” Let’s see exactly what those signs are. OFFENDER #1: If you talk in a different voice when the camera is turned on. Love it or hate it, reality programming has left an indelible mark on the industry. So when you appear on your program with your “classic TV voice” it sticks out like a sore thumb. There are numerous ministry leaders who are gracious and authentic when talking with friends. But turn on the camera, and they become someone else. Be real. Speak normally. It doesn’t make you more anointed or powerful when you try to sound like God. The “over the top” era is done. Big gold chains are for hip-hop artists and gangsters. Trust me. Everyone knows that’s a toupee on your head. T.D. Jakes is cool. White preachers that try to dress like T.D. are not. T-shirts under sport coats went out with Miami Vice. Spandex is not for TV – ever. And when it comes to TV evangelists, too many still have the hair thing going on. Years ago, I filmed one offender deep in the desert of the Middle East for a TV segment. The wind was raging, and his comb-over was so huge, he went through nearly a case of hairspray to keep it under control. When he was finished, his hair looked more like a NASCAR helmet. The desert sands were blowing all around him, and my crew was fighting to hold down the equipment, but that comb-over stayed firm without a hair out of place. If a nuclear attack had happened at that moment, I wanted under that helmet of hair. It’s time to stop wearing those striped shirts with the shirttails out when you preach. Wearing jeans and open collar shirts is fine. But styles change and it’s time to change with it. Hundreds of young contemporary pastors all look alike today – jeans, striped shirts, tails out. And while you’re tossing out those shirts, dump anything with big designs on it. You know what I’m talking about – the t-shirts with the big printed crosses, or the torn up sport coats with stuff written on them. The point is – people change, trends change, and fashion changes. When every pastor in America looks alike, nothing is distinctive anymore. OFFENDER #3: If you use the phrases, “Shake the Nations,” “Transform Your Life,” or “Touch the World” more than once in a 30 minute TV or radio program. Yes – I admit being guilty of these offenses in my day, but I went into treatment and I’m better now. The point is about hype. There’s just too much of it in religious media. When every book or sermon from every preacher will change your life, then nothing will. The audience gets numb when the superlatives come in a continual flood. Yes, God can do amazing things. He can transform people’s lives. He can shake nations. But be realistic about your products and your ministry. Let other people say nice things about you. Modesty is a virtue. You’ll be amazed at the credibility you’ll gain with the audience. Christian television is a great tool to reach masses of people in diverse areas, but let’s use it to God’s glory. Let’s be wise and use it for the express purpose of ministering to God’s people and those who will be God’s people. 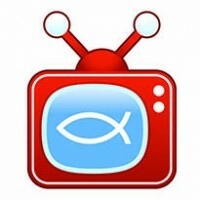 Christian television is not for empire-building or for fleecing people in the name of God. Let’s not abuse the power and authority God has given us to do the ministry of reconciliation. Keep things pure and God will bless your work beyond your belief.